Through the campaign 'The Value of Helping’ We give visibility to companies who wish to support our work with their financial contribution. Link your company with values ​​of Solidarity and Social Responsibility & has a huge importance in the value chain of other organizations, suppliers and customers. It generates a great effect multiply and, definitely, a competitive advantage for the company. Thanks to recent improvements in Patronage Act, Cooperates as donor ONGD (entity host the special tax regime of Law 49/2002), a company will get more tax benefits in the presentation of tax companies for the year 2017 and successive, If you make a donation to cooperate or sign up with us a cooperation agreement. 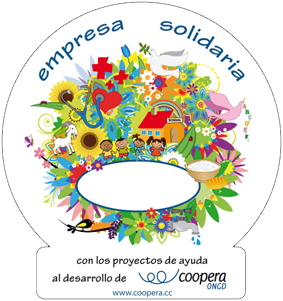 The collaboration of companies with Cooperates can be articulated through a cooperation agreement or through donation form. Signing of Agreement with the NGO Coopera. The amounts paid under the cooperation agreement, the expenses are deductible without any limit for determining the tax base of the collaborating entity IS. If you do not know what causes allocate their financial contribution, You can view our projects on this page or write to info@cooperaong.org. We will inform you of the projects that have urgent needs. All help is welcome and nothing is small, As much as it seems. There are many forms of collaboration between companies and NGOs, through sponsorship and Monetary donations, up employee initiatives through formulas encompassed in what, in the world of CSR, It is known as Matching gift. Here you can read an example of such collaboration, by Lundbeck Laboratories employees.